We walked into Torchy's Tacos to be greeted by an order and pay line. They gave us my favorite #33 to wait at the bar until our food came. 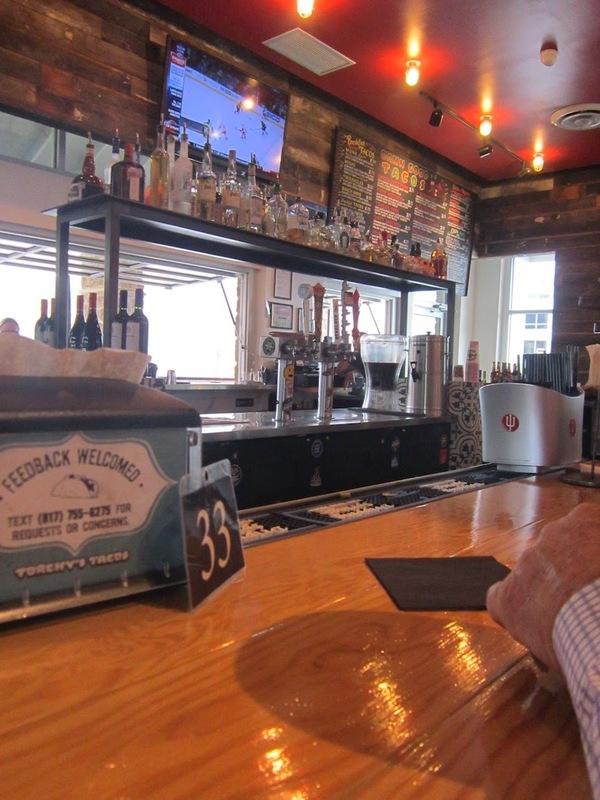 We made good use of our time by ordering two Fireman #4's, an American Blonde Ale, brewed in Blanco, Texas. It is a favorite order of ours when we are in Texas. Who doesn't love fresh, hot, salty chips? What makes them better? A creamy guacamole. We indulged in that until our tacos came. Scott dreaded having to order the "Democrat" but that as the name it was given and it did sound delicious. 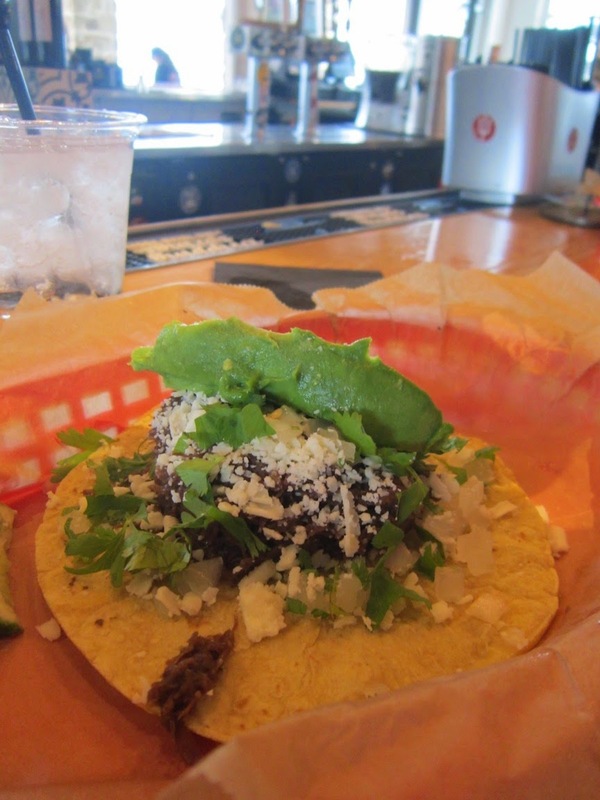 Shredded beef Barbacoa, queso fresco, fresh avocado, cilantro, onions a slice of lemon all served on a corn tortilla. It was fantastic. In the words of Torchy's, "A damn good taco." Melissa Good Taste didn't order politically in fact it was a crack up... I got the Trailer Park. It made me laugh but it was filled with all things I like: fried chicken, green chile, lettuce, pico de gallo, cheese and on a flour tortilla. It was a mouth full and a lot fell out of the tortilla on my first bite so I forked it up until I finished. I thought it was that trailer park, it could have been a bit trashier... where was the Cheez-Whiz?! Torchy's has a large list of different tacos all based on their beef, pork, chicken and seafood proteins. I am sure we visit again and give another taco a whirl. Their mascot is a little devil so I look forward to getting a few souvenirs to update my wardrobe!